As a child of two wonderful, deaf adults, I am passionate about the accessibility of naturopathic medicine for patients who are deaf or hard-of-hearing. I’m hosting a free talk at the Deaf Centre Manitoba (DCM), located at 285 Pembina Highway. 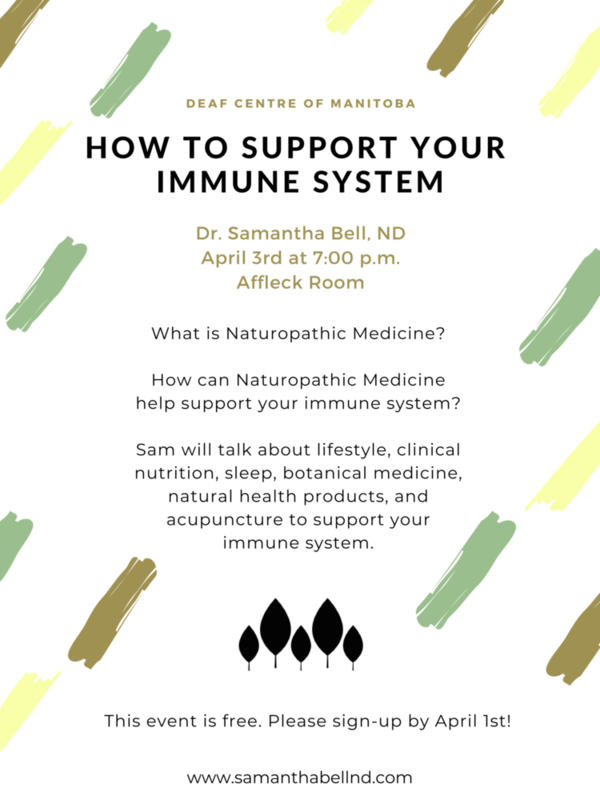 This talk will take place on April 3rd at 7:00 p.m. Even though I’m fluent in American Sign Language (ASL), there will be an interpreter present for the talk! How To Support Your Immune System, Naturally.